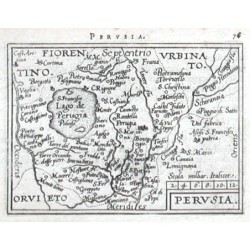 "Perusia". Pův. 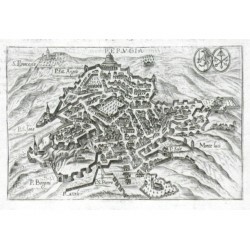 mědiryt z N. Visscherova "Tabulae Geographicae Contractae". Vyd. 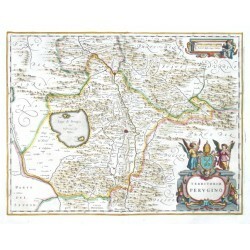 C. J. Visscher v Amsterdamu, 1649. 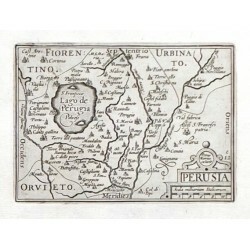 "Perugia". Pův. 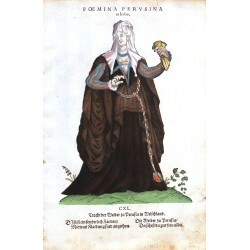 mědiryt, Pietro Bertelli, "Theatrum Urbium Italicarum", Benátky, ca. 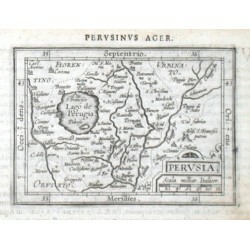 1600. Se 2 erby. 11,5:17,5 cm.